There are two types of banjos; the regular Irish Tenor Banjo and the Open Back Banjo. 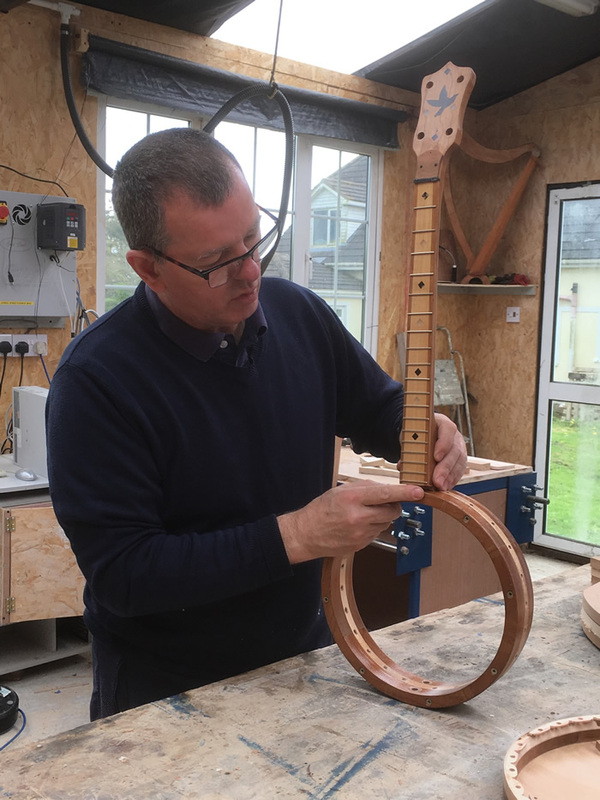 These banjos are made from a one-off design using a choice of locally sourced Cherry and Maple hardwoods that are selected with particular attention to acoustic qualities. Customer input is welcome at every aspect of the build process, from wood selection for the Neck, Fingerboard, Peghead, Pot and Resonator, and a choice of inlays to personalize your instrument. 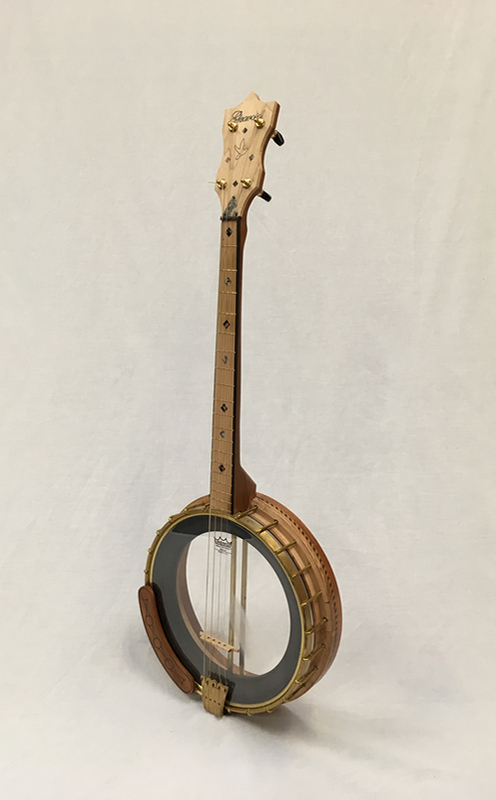 These banjos are owned by local musicians and have also been tried and appreciated by many musicians at Fleadhs and festivals across the country, with feedback on smooth neck and low action complimented by the high quality components and design. 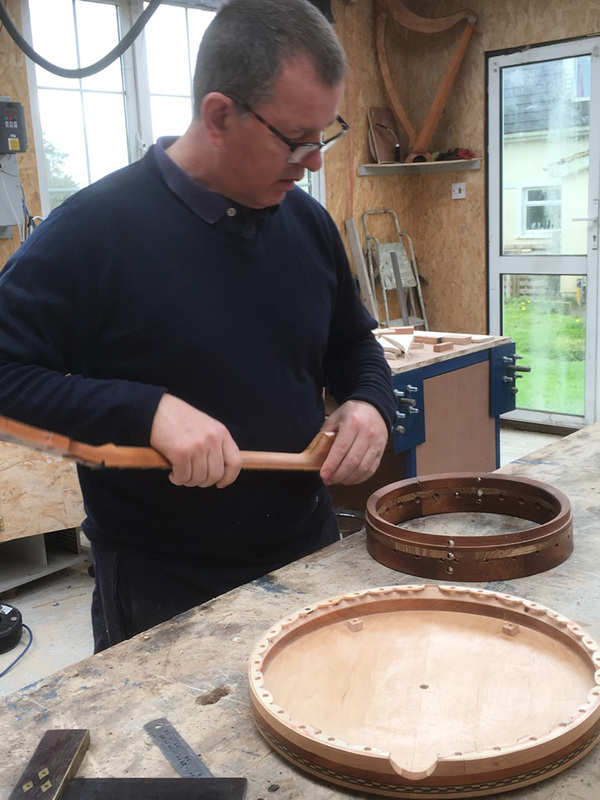 A lively well-balanced tone is the aim for our instruments and this is gained through the order in which the manufacturing process takes place to gain the best from the wood’s natural tonal characteristics. Thanks for the fantastic service that we received from you, especially with the beautiful design. Erin is really excited with her open back banjo. When she opened the case and saw her name and the picture of the dog on the resonator the picture on her face told a story . She is really enjoying playing it, thanks again. 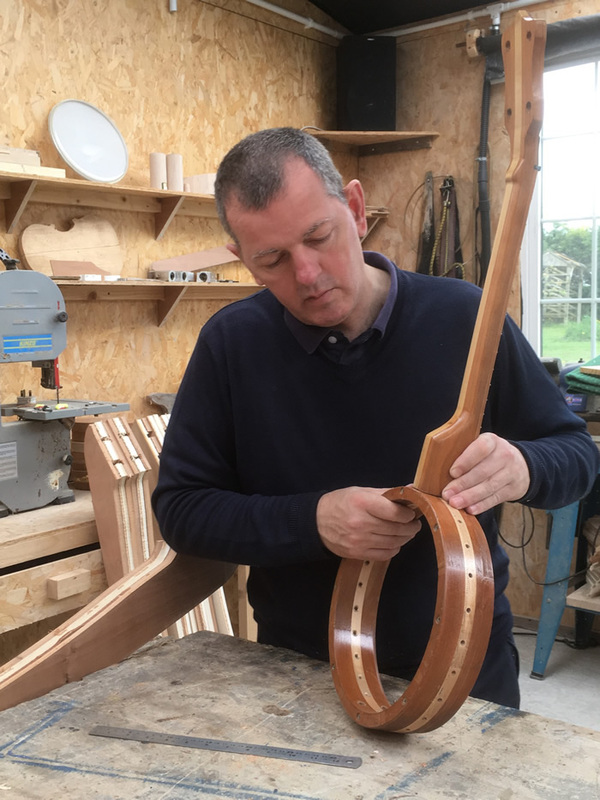 Gerry is a true gentleman that puts his soul into the crafting of his instruments. If you want quality products and a very friendly professional service go to Irish Handcrafted Instruments.